Indeed. Without doubt, it’s all small stuff! Between wanting to be right and doing what is right, and what is best in a given circumstance, choose the latter. Yesterday, while at a busy intersection, when the traffic light turned to green, I hung a right. My car was behind another. As I completed the right turn, a car coming from the street opposite, broke the red light (which was on for that lane) and rammed into my car’s rear. A traffic policeman was on duty. And he rushed forward. I stepped out and surveyed the damage. My car was dented while the other car only had a scratch as it had a huge metal guard mounted on its front. The gentleman driving the other car was wearing a tie. He looked like he was a senior management executive in a corporate; he had a blue tooth device on his ear and a smart phone strapped to his belt. I said nothing while I looked at both the cars. The cop, looked at the gentleman and asked him, “Couldn’t you see that you had a red light?” The gentleman retorted: “Of course not! I had a green light as I drove past the signal.” Pointing to me, he continued, “This man drove past the red light at his end.” The traffic cop was aghast. So was I. A couple of onlookers were surprised too. One of them, an auto-rickshaw driver was blunt. He said to the gentleman, “Sir, the least you can do is apologize.” That comment ticked off the gentleman even more. He became livid. He looked at the hapless traffic cop and declared that he knew senior officers in the police force. He looked at me and demanded an apology. I reflected on the situation. I considered that we were holding up traffic during rush hour. The dent on my car surely needed addressing. But, I concluded, I was not going to demand justice at the cost of my peace of mind. I apologized to the gentleman, shook hands with the traffic cop, thanked the auto-rickshaw driver, got into my car and drove away. It is possible my choice is debatable. But that’s what, I believed, was the best thing to do in the circumstances. As I drove away, I thought to myself: ‘How would I have handled this situation just 10 years ago?’ Surely, I would have stood my ground. I would have been seething with rage. I would have insisted that the gentleman was at fault. And the episode would have dragged into a saga – involving an accident complaint, an insurance claim and a burning desire to prove myself right and the other man wrong. And then I thought deeper, would my being right in a street brawl, have really mattered 10 years later, to this New Year’s Day of 2014? Certainly not! I guess that’s what evolution as an individual is all about. I felt good that I had evolved, even if marginally, over the years! 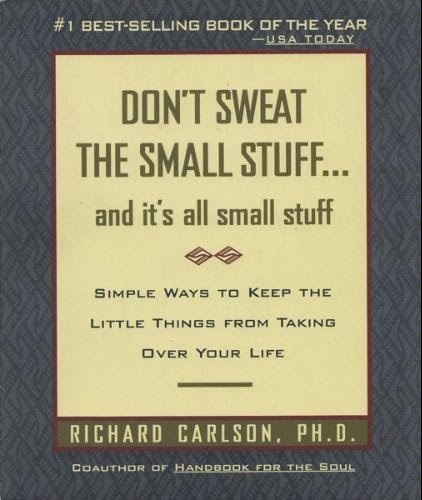 Several years ago, I remember reading Richard Carlson’s fabulous book “Don’t Sweat the Small Stuff…”. It makes so much more sense now than it did then. I particularly like the second line of the book’s title that says – “…and it’s all small stuff”. Indeed, in Life’s grander, larger, design, everything – absolutely everything – is small stuff. 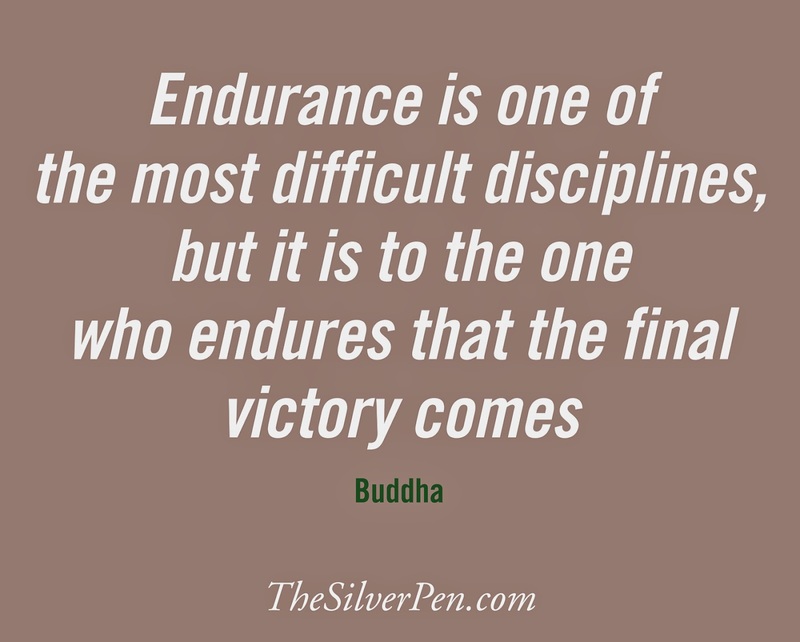 And any fight to cling on to anything is bound to affect your inner peace! Ask yourself, each time before you launch into an ‘I-am-right’ mode if it is really worth it? Author AVIS ViswanathanPosted on January 2, 2014 March 14, 2016 Categories 2014, Art of Living, Don't Sweat the Small Stuff, Inner Peace, Intelligent Living, Richard Carlson, Right2 Comments on Indeed. Without doubt, it’s all small stuff!